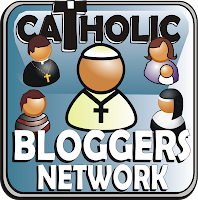 Nominate Catholic Difference-Makers Under 30! During one of the rare times that I have checked my Twitter feed in the past couple of weeks, I came across an amazing “contest” via @FOCUSequip yesterday! FOCUS (Fellowship of Catholic University Students) is looking for 30 individuals under 30 years old who are making a difference in the Catholic Church and changing the world! This is so up my alley! Although it was hard to choose only one, I just finished nominating Tori Harris, who I featured as my Dreamer in the Spotlight in August. I know us fellow bloggers are inspired by so many of our peers, so let’s recognize them! Please consider nominating a special young adult who is committed to allowing God to work through him/her to reach others! I hope my excitement is oozing out of this post, because I. AM. VERY. EXCITED. about this! I love sharing and reading about people who are dreaming big and doing God’s will! I will definitely be following up on the chosen 30! Have a great weekend, and don’t forget to nominate someone!! ← 10 Inspirational Kindle Books Under $5!